Wild Horse Australia is the exclusive Australian supplier of the innovative Insect Shield Horse Rugs, Flymasks and horse products. 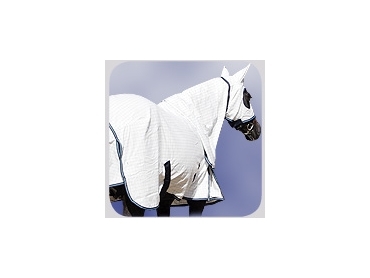 These Insect Repellent Horse Rugs are treated with patented Insect Shield Repellent Technology. This repellency is Permethrin, a man made version of natural insect repellent found in certain kinds of chrysanthemum plants, and is tightly infused to the fabric fibres. The resulting Insect Repellent Horse Rugs have been tested and proven to be highly effective in repelling a wide range of disease carrying insects.